Atrinity Home Health’s Client Relation Coordinators Tanya Alegre and Jaime Szyszka attended the Stuff a Bus Thanksgiving benefit in Hamden CT on Wednesday along with Atrinity’s CEO Tom Vanty. 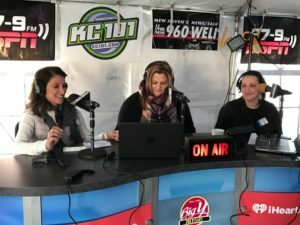 For the third consecutive year, Atrinity Home Health, LLC proudly donated a truck full of turkeys to the 26th annual food drive, sponsored by KC-101 to benefit the Connecticut Food Bank. This was a wonderful community event and opportunity for the agency to give back. The holidays can be an especially difficult time for individuals and families and Atrinity is grateful to be able to reach out to its neighbors and show its support to neighboring towns. For every $1 donated, Connecticut Food Bank is able to provide two meals to a family in need. 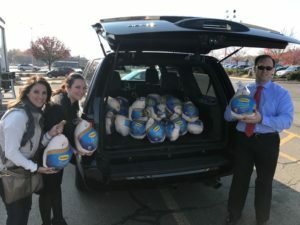 We also would like to want to thank Shelby and Tom at New Britain Costco for allowing us to purchase a large quantity of turkey’s and Ashley, Adam and Tim from IHeart Radio as well as Michael Davidow, Corporate Development Manager at Connecticut Food Bank for making this great event possible. From our home at Atrinity to yours, we wish everyone a happy and healthy holiday!